We all love those cute little barks that welcome us when we come home. But, if your dog does not learn when to bark or not to bark, you may find yourself initiating dog barking training. All dogs bark. This is the way that they communicate with you and with each other. And, just as we don’t want our children to be totally quiet all the time, we want our dogs to be able to “talk” sometimes, too. Dogs bark for many different reasons, and if you listen carefully, you will notice that your dog’s tone changes when she is trying to tell you something. Your Bichon Frise may have a playful tone, a tone for needing to go outside and a tone to warn you about strangers. 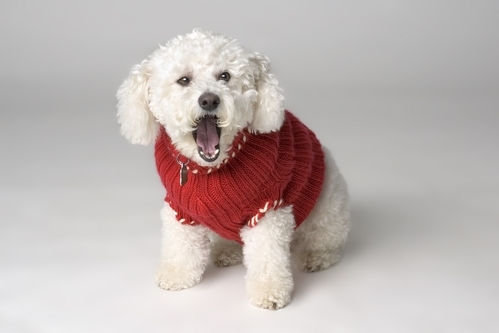 Cute little Bichon Frises can quickly develop a barking problem that requires a bit of dog barking training. Of course your dog’s barking needs to be kept under control, and we do need some rules for appropriate barking. Do Bark Control Devices Work? There are tons of reasons that dogs bark. As you have probably learned, some barking is manipulative, designed to get your attention or to get you to do something. Someone is outside (walking or in a car) – Your dog barks because of fear or to protect the other pack members. Boredom or loneliness – Dogs who have separation anxiety may bark. This can be for a short time after you leave, or for the entire time that you are gone. Your dog was playing with a toy and it went under a chair, where she cannot reach it. Your dog wants you or another dog to play with her. Confusion – this happens with senior dogs that have dementia or Canine Cognitive Dysfunction. Intruder on your property or in the house – Of course this is really remote for most neighborhoods, but if it does happen, you want to know. However, depending on where you live, your dog may mistakenly bark at a non-intruder: neighbors down the hall in an apartment, people walking in front of your house, dogs barking down the street. Your dog needs to potty outside – When you dog needs to go, you need to take him out. The consequences of ignoring his request are not fun! Play barking – When you or other dogs are playing with your dog, barking is just your dog’s way of talking to you and having fun. Sometimes people create a problem for themselves when they want their dog to serve as a watchdog. Instead of just barking at strangers or intruders, your dog now barks at anything and everything. This can be corrected if it has become a problem. I’ll talk about this even before I discuss the different types of barking that dogs do. If you don’t get this right, you will never be able to correct your dog’s behavior problems. When training a dog, there is nothing more important than your becoming the pack leader. This is the foundation for all obedience training and for a healthy interaction with your dog. Dogs are social animals with a very defined social structure or hierarchy. In a dog’s world, the alpha male and female are leaders. The others are followers and have a position lower than the alphas. Someone needs to take the leadership position in your pack or family, and that needs to be you. That is, if you expect your dog to obey your commands. If you do not assume the alpha role, your dog will. And that is when your behavioral issues will start! If you don’t become the pack leader, your dog will move in and take over. Someone needs to be in charge! However, this is not difficult to do. Follow trainer Doggy Dan’s 5 Golden Rules and you will start to see changes in how your dog interacts with you in no time. While some dogs do communicate by making some “talking noises”, all dogs communicate with you and each other by barking. Your dog is trying to tell you something, using the only language that she knows. Some dog training “experts” talk about stopping all barking, but that is really not a good idea. Barking at the door – When someone rings the doorbell or parks in your driveway, your dog may bark to alert you to the fact that you have company. To your dog, this is a potential intruder and the situation needs to be assessed. Is this person OK or not? If you don’t take charge and make the decision, your dog will assume the responsibility. Barking in the yard – This is often the same kind of situation. Your dog may feel that he has to protect the other pack or family members. This kind of barking can be a little more complicated though, because your dog could be talking to another dog, trying to get someone to come over to see him or even telling you that the neighbors have a new wheel barrow in their yard (possibly a threat to you). 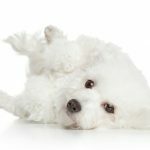 Take a look at this video where Doggy Dan demonstrates how to get this little Bichon Frise to stop barking when its owner leaves the house. Notice that putting on shoes is a signal that someone will be leaving soon. The “going to leave” signal could be getting your pocketbook or putting on a jacket or sweater. While this video was an actual consulting call and it makes the training seem quite easy. But, in order to make this work, you still need to show your dog that you are in charge. To do that, you have to follow the 5 Golden Rules. You can access all of Dan’s 129 training videos for just $1 now. 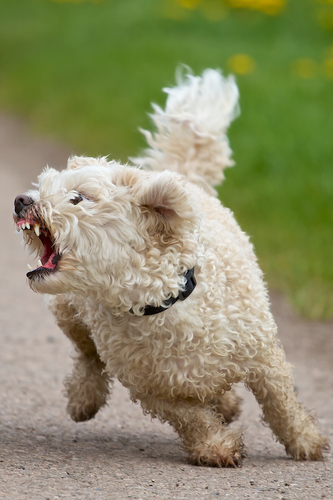 If your dog walks while on a walk, there are a number of possible reasons for the barking. Certainly there are lots of distractions on a walk. If your dog is aggressive toward other dogs, you might want to see the article on aggressive behavior. However, barking is not always being aggressive. 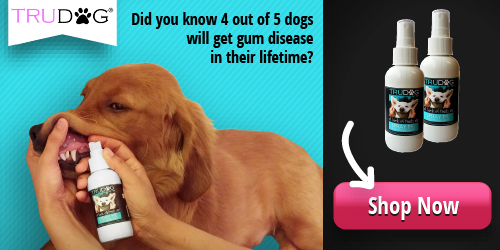 Your dog can simply be excited and over stimulated! The basic idea is to treat your dog as if there is not danger. You just walk right past the threat without making a fuss or getting excited. Another way to calm a dog is to gently take hold of the front of your dog’s collar. Stoop and turn your back to the other dog, the person upsetting your dog, or whatever the perceived danger is. This signals to your dog that there is nothing to be concerned about. You are in charge and you are not worried. You will be surprised how quickly your dog will calm down. The video below shows you how to get an aggressive dog to spend time near another dog calmly. If you have trouble taking your dog on walks or to the park, watch how this is done! Access the Doggy Dan videos here for just $1 for 3 full days. Most dogs don’t like to be left alone. Remember that they are social creatures who like being with their other pack members. Dogs who are lonely or bored can get into trouble, including barking. Consider getting a couple of toys that challenge your dog’s mental abilities or a Kong toy stuffed with a couple of treats or peanut butter to entertain your dog. Just like children and sometimes adults, dogs get excited when they play. As long as they don’t become a nuisance or a danger because of rough housing, this is fun and OK. When your dog barks during play, she is expressing happiness. And she is talking to you or the other dogs. You’ll see your dog do this when she is chasing balls in the yard, swimming for an object that was thrown into the water or running and playing with another dog. Barking for attention is common and it is very easy for a dog owner to reinforce this behavior and make it worse. Give your dog a treat when she is barking – You think that a distraction will stop the barking. But, you just gave your dog another reason to bark. Here’s how your dog sees it. She just got a treat because she did something that you liked—bark! Speak to your dog – She is speaking to you when barking and when you respond, she thinks you are answering her. And you are! She just got you to speak to her, and she will do it again. 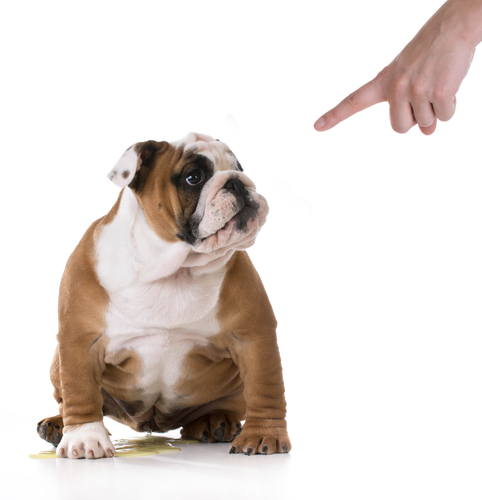 Touch your dog – When you touch a barking dog, you are giving positive reinforcement. Your dog likes to be touched and so will bark again to get patted. Give your dog what she wants – If you just give in and give your dog what she wants, you can be sure that your dog will bark again to get what she wants. I think you get the idea. The point is that you, as the head of the household (pack) are in charge and you make the decisions. Your dog should not be telling you what to do and when to do it! When your dog makes demands, the best thing to do is ignore him. It may take him a little while to get the message, but he will get the idea. Make sure you do reinforce positive behavior so your dog learns what you expect and how to get what she wants by appropriate behavior instead of barking. People do use different approaches when working with their dogs. There are some devices on the market that many people like. Smartlance Ultrasonic Anti-barking Device – This device is shaped like a little house. You can place it inside or outside and it will work for a radius of 50 feet. When your dog starts barking, it emits a sound that your dog can hear, but you can’t hear it. It works for barking in the yard and for people at the door, two very common barking problems. Barklo Anti-Vibrating Bark Collar – The collar has 7 sensitivity levels, so you can use it on puppies or small dogs. The collar does give off a stronger vibration as you increase the level, but it does not shock your dog. Citronella Anti-barking Collar – When your dog barks, the collar sprays some citronella into the air. Dogs don’t like it. If you prefer, you can also get an odorless spray for the collar. Still frustrated with your dog? Why not give the Doggy Dan dog training videos a shot? You can watch them for 3 days for just $1. If you decide not to continue, just email Doggy Dan to tell him. It’s easy to stop the program, and it really is hassle-free! There are more dog behavior problems that your dog may have. Where would you like to go now?